✔Warranty: For 18 months after the date of purchase, we take care of all quality-related issues with a REPLACEMENT or REFUND. Pls contact our AWINNER support team. ✔ Charge directly: Do not need to take the case off to charge. And you will not be worried about sweat buildup after a workout. 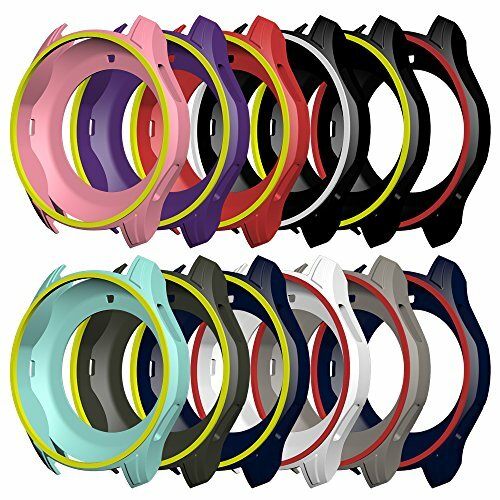 ✔ Security: Durable and soft silicone material covers your watch side and edges perfectly, shock-proof and shatter-resistant. ✔ Included: Protective Samsung Gear S3 Frontier SM-R760 Smartwatch Case Only.